You can start your recovery with us today. Boundaries establish a system of what is acceptable and what is not acceptable in our lives and in the lives of those around us. 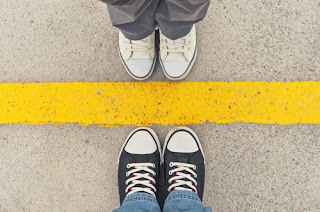 Boundaries in relationships are essential and are of great importance in order to contain healthy communication with your partner, and for maintaining healthy balance in all areas of your life. This is especially important when someone is in recovery as it is by nature that addicts and alcoholics operate as extremists and when in a relationship, it is very easy for the other person to become a “higher power,” or for priorities to get skewed as relationships (especially new relationships) are exciting and feel good. It’s also a part of a healthy relationship where open communication, honesty, and boundaries are essential rather than making assumptions and not being honest which is an easy set-up for resentment. While in addiction, boundaries can easily be blurred or nonexistent which allows for others to manipulate, take advantage, or even put you in harm’s way. This also leads to codependence which continues to feed one’s addiction. Codependency entails poor boundaries as a codependent person tends to feel responsible for other people’s feelings and problems or blame their own on someone else. Taking this into consideration, while setting boundaries in relationships, it is vital to recognize your own feelings as you must differentiate yourself from the other person. Boundaries also help to determine which responsibilities in a relationship are yours, and which ones belong to your partner. When you take responsibility for your part in the misunderstanding or conflict, and your partner is able to take responsibility for their part, resolution of the problem at hand becomes much easier. When these lines of responsibility are clear and respected by each person, emotional intimacy has a strong foundation to grow upon. Some of the basic steps for learning to set boundaries are to recognize and acknowledge your own feelings, recognizing how your boundaries have been crossed, and how you need to go about setting a boundary. It is also important to get grounded as it is common for those in relationships with poor boundaries to fear backlash from the other person, or to feel guilty. The next step is to voice your boundary and make it known to your partner. In this case, if backlash does occur, it is evident that the other person does not respect the boundary you set and rather than engaging in the argument and focusing on the backlash which subconsciously is telling the other person that you are not grounded and confident in what you want, it is best to simply just walk away and take care of yourself. Boundaries in romantic relationships are critical, because as opposed to other relationships, partners inhabit each other’s most intimate spaces, including physical, emotional, and sexual. Communication is key because when couples are clear about the boundaries for their own relationship, the relationship can be stable and continue to grow in a healthy manner that will allow the relationship to flourish.